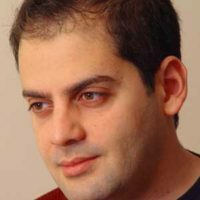 Abdulkader Sinno is an Associate Professor of Political Science and Middle Eastern Studies at Indiana University, Bloomington. He received his PhD from UCLA in 2002, was a CISAC Postdoctoral Fellow at Stanford University in 2002-03, a 2009 Carnegie Scholar, and a 2014-15 Fellow at the Woodrow Wilson Center. 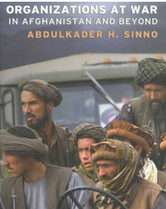 His first book, Organizations at War in Afghanistan and Beyond (Cornell University Press, 2008; 2010 paperback edition) develops an organizational theory to explain the evolution and outcomes of civil wars, ethnic strife and other territorial conflicts. 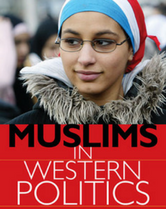 He is also editor of Muslims in Western Politics (Indiana University Press, 2009) and the author of articles and book chapters on Muslim minority political representation in Western liberal democracies, public attitudes towards Muslim immigration, the Arab Spring, conflict processes, and Islamist parties’ participation in elections. His articles are published in both qualitative (e.g. American Historical Review) and quantitative (e.g. Journal of Conflict Resolution) journals. “Partisan Intervention and the Transformation of Afghanistan’s Civil War,” American Historical Review 120 (5), December 2015: 1811–28. Muslim Americans and the Political System,” Chapter 19 in The Oxford Handbook of American Islam, edited by Yvonne Haddad and Jane I. Smith (New York: Oxford University Press, 2014), 325–39.